Our craftsman only work with premium grade lumber. Using advanced technology combined with the latest machinery to ensure high quality milling techniques, grades and finishes, these specialists select each plank for its length, grain and variation of cooler. Known for their wider plank boards up to 12 inches wide and lengths up to 16 feet. Solid Hardwood floors are made from planks milled from a single piece of timber and were originally used for structural purposes. Depending on the desired look of the floor, the timber can be cut flat-sawn, quarter-sawn and riff-sawn. Milled from kiln or air dried timber before sawing, solid hardwood floors have a thicker wear surface that can be sanded and finished more times than an engineered wood floor. Engineered wood flooring consists of two or more layers of wood adhered together to form a plank. 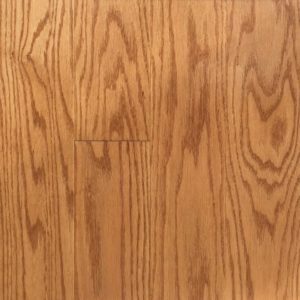 Extremely popular in Europe, it has gained wide spread popularity in North America due to its dimensional stability that can be installed over all types of subfloors above, below or on grade. 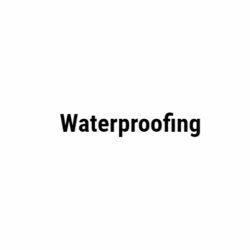 Some benefits include faster installation with nails, glue or as a floating system, ease of repair or board replacement and suitability for under floor and radiant heating systems. 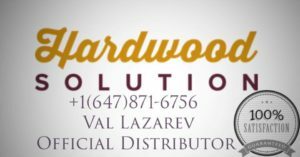 Hardwood Solution Recommends that their professional team of certified installers protect the enjoyment and longevity of your hardwood flooring solutions by having the correct and proper installation methods in order to maximize the value of your investment. We are producing a beautiful pre-finished extra-long Canadian hard maple that is a premium and 100% natural product. Providing exceptional sound and thermos insulation characteristics, the stunning grain texture of natural wood brings a sense of warmth and authentic feel to any space. Able to provide color matching to any samples customers request, all Hardwood Solution solid hardwood flooring comes with a structural warranty. Our wire brushed red oak hardwood collection is made with top of the line Canadian lumber and it’s 100% natural product. Solid wood floors provide exceptional sound and thermo insulation. Beautiful grain texture of natural wood brings a sense of warmth and authentic feel to any space. Hardwood Planet solid hardwood floors come with lifetime structural warranty. Hardwood Solution provides color matching to any samples customers request. Our Select and Better grade of Canadian Red Oak flooring is a bestseller for it’s price and quality. Hardwood Solution solid hardwood floors come with lifetime structural warranty. Hardwood Solution provides color matching to any samples customers request. 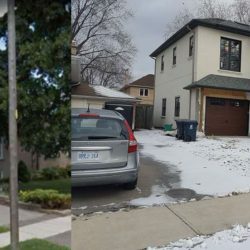 We produce beautiful maple hardwood flooring at highest standards. 100% natural product. Solid wood floors provide exceptional sound and thermo insulation. Beautiful grain texture of natural wood brings a sense of warmth and authentic feel to any space. Hardwood Solution solid hardwood floors come with lifetime structural warranty. Hardwood Solution provides color matching to any samples customers request. Our extra long engineered hardwood flooring collection is made with the white oak lumber and it’s 100% eco-green flooring. 3-layer single strip engineering T&G, square edge flooring can be installed above or below grade. Glue down over concrete, plywood or wooden subfloor or nail down over wooden subfloor. Hardwood Solution uses white oak wood for middle core and bottom layers instead of traditional soft wood. This helps to enhance internal balance of hardwood planks and reduce possibility of twisting or warping. Additionally solid middle core greatly improves thermo- and sound insulating properties of engineered flooring. HardWood Solution is providing engineered hardwood flooring color matching service by any hardwood stain sample customers bring. High quality durable laminate flooring with all modern textures and finishes you can imagine. We provide with a convenient and portable sample swatch and help to coordinate with all design option. Hardwood Solution distributes modern AC 4, AC 5 laminate in Canada. Herringbone flooring, which is also known as parquet block flooring is one of the most distinctive and recognizable hardwood floors. Rather than planks of flooring, the herringbone pattern is made up of smaller blocks of flooring that can be laid in a variety of geometric patterns, with the most common pattern being herringbone. It is important to remember that ‘herringbone’ refers to the pattern and style of flooring and not the colour or surface finish. 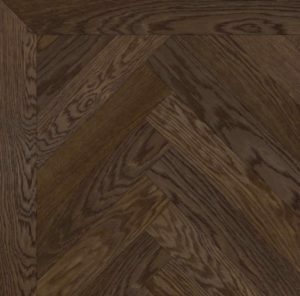 To create your herringbone effect you are able to choose your floor colour (the species of wood) and surface finish to match or complement your room. Our stair parts made of high quality best materials available on the market. 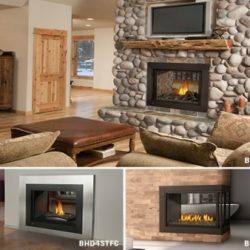 Our purchaser picks just the best grades of kilned dried wood that we plant to our determinations to exact resilience. 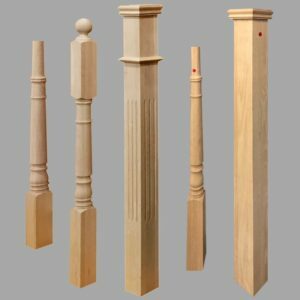 Our wood stock of oak, birch, fiery debris, maple, and cherry are the wood of decision and stock at our assembling plant.